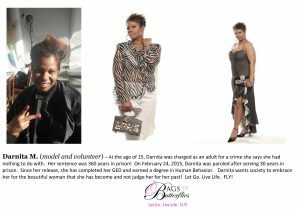 Michelle Smart of Bags to Butterflies in Detroit! 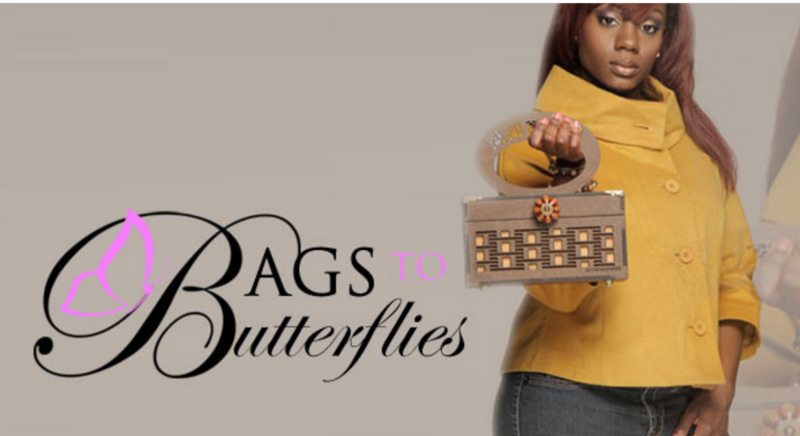 Romy interviews Michelle Smart, founder and creator of Bags to Butterflies. Learn how Michelle is empowering women returning from the prison systems to be all that they can be. Transformation and incredible business ideas are moving this social enterprise into possibility. Don’t miss the great Detroit artist and their new song at the end of the episode! Romy: Hey there! Thanks for tuning-in to another great episode of the Bonfires of Social Enterprise. This is Romy, and I have the honor of hosting. Some of you may not remember why this show has this name...Bonfires of Social Enterprise. The word 'Bonfires' was used originally by our team to help social entrepreneurs that the bonfires represented the business enterprise portion of their organization. The warmth the bonfires put off represented the social impact for people. We still use the bonfires analogy today to discuss all of the ways we social entrepreneurs tend to walk away from the fire to do more social impact. We always need to remember to tend the fire so we can keep that sustainable impact growing! On this episode, you will meet Michelle Smart, and she is someone who really gets the notion of tending her fire while making a socially good impact. At the end of the episode, we are showcasing an amazing artist, Nique Love Rhodes, you don’t want miss that one! Before we meet Michelle, let's hear from our guest ‘Fun-Fueler’, Hudson Robertson of Traverse City, Michigan. By the way, we don't help them with the research or the recording; they do it all by themselves. What do you have for us today Hudson? Hudson Roberston: A caterpillar spends most of it’s life crawling on and devouring it’s food source. When it’s time to become an adult, the caterpillars start to wander away from what they’ve been eating. The caterpillar makes a simple silk pad on the underside of a branch or twig. It uses a hook-covered appendage called a cremaster to attach itself to it’s pad. It twists around, embedding it’s cremaster firmly into the silk so it can hang. Then it sheds it’s skin revealing the chrysalis. (In 2nd grade last year we studied this process and the caterpillars all made their spots at the top of the cage, so that when it was time for the butterfly to come out, it would use it’s wings right away to fly, Cool!) The time then from chrysalis to Butterfly depends on how warm the climate is but generally the whole process from egg, to caterpillar, to butterfly is about 4 weeks. Also, I learned that there are more than 20 butterflies and moths currently listed as endangered by the US Fish and Wildlife Service. Romy: Thank you, Hudson, that was very informative! Romy: Well, welcome to the Bonfires of Social Enterprise, Michelle. I know we've been trying to get together for a little bit to hear about your amazing business and let's start by helping the listeners know what is the business of Bags to Butterflies. Michelle: Bags to Butterflies is a social enterprise. We have an outreach to female returning citizens. Our mission is to reduce recidivism within our community by providing employment and training opportunities for women returning home from prison. Romy: Wow! Now is there any time frame that you take that they've been in prison or is it just really any time they've spent there? Michelle: Some of the women have been incarcerated for over 30 years and we take all of them. Our goal is to provide employment immediately upon being released from prison, just so that they know that when they come home, they have employment, so that's one less thing for them to think about. Romy: How did you both come up with the idea to make the bags? I've seen the bags. I want to put some pictures, actually, of your bags on our, on the show notes here, but how did you both come up with the idea to hire that group of women and make the bags? Michelle: I'm an artist at heart. I love doing creative things and when I designed the handbags, I actually designed them to be a part of an art show that I was planning to participate in, however, the Lord said, you know, that's not what these are meant to be. You need to do something that's going to impact lives and around that same time, I learned that my best friend's daughter was incarcerated. She made a split second decision that has changed her life for the next seven to 15 years and God is so good, because we were able to put the two together. 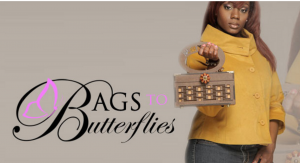 My thought was that women returning home from prison will need opportunities and the handbags themselves represent rebuilding of one's life, so we were able to put the two together and we developed Bags to Butterflies. Romy: The bags, they're really interesting. They're made of a certain types of materials or are they all different? Let's talk all about the bags first. Michelle: Yeah. The handbags themselves are made from reclaimed material and then if you can imagine a cabinet panel, they're like a quarter inch wood. We work with an organization or Habitat for Humanity and they provide the back panels of cabinets for us and that's how we make our handbags. We will be incorporating a new line of handbags. I don't know, if I want to announce that right now, but we are expecting to have some new handbags available using a totally different material in March. Romy: Okay. Gosh. How did you get the idea to, were you working with reclaimed products as an artist before? How did you land on the bags specifically? Michelle: You know, I have to give God the glory for this because this is not my background and it all just came together. I was playing around with some of the old, the cigar box purses that I have seen and I had that idea. Our handbags are different in the sense that they, if you can imagine a puzzle, they're built using the same concept as a puzzle, but each piece, when the ladies are assembling them, they represent a stage of their life, so when the women are assembling the handbags, it's as if they are rebuilding their life. Romy: Who is your primary customer that purchases the bags? Michelle: We, our customers are individuals who love the arts. Our customers are individuals who want to make a difference in the lives of others. Women assembling these handbags will be employed and we will empower them to change their life, so individuals purchasing our handbags will be helping us with our mission of reducing recidivism within our community. Romy: Recidivism. That's always, I get so tongue tied on that word, but Michelle, would you define that as, that's preventing ... Is the act of recidivism somebody who returns to prison? Romy: So recidivism is when someone comes out of the system and they end up going back in? Romy: Would that be, correct? Okay. Just for folks that might not be live in the US and might not define that. Then, did you start hiring the women right away or what was the genesis of the business? I think most of us small business owners love to hear the journey of another business person's story. Michelle: It has been a wonderful journey. Our first initiative was people giving to people so they can give to others. The ladies came out. We met at a local church. They assembled handbags that were donated to an organization that provides financial assistance to women with breast cancer so you have returning citizens, women who were incarcerated doing something really good to help cancer patients. That was our first initiative and through that we learned that the women were, what they really wanted was to be employed, so our second phase would be, through the handbag project where we will train the ladies to assist with the design, the concept and production of our handbags. Romy: Then, how do you decide who you employ, because I know as a business owner, you want to employ so many, but how do you go about deciding, identifying, even, who you hire and what's that process look like? Michelle: We work with a couple of organizations. One of the ladies, the organization that we worked with, she is also a returning citizen, so through her organization she vets the ladies who need employment and then she refers them to us. Our initial idea is to pilot with four women. We will hire them immediately upon being released from prison. We will assist them with everything from the clothing to housing and once they get stabilized in those areas, they will come and they will assist us with assembling the handbags. They'll start out with the assembly process and then we will empower them to help us with the design. They'll be trained on various software programs and technologies that will empower them and help them help us with creating new handbags. Romy: Yeah. Is it the idea that they would stay with you long term if that's their choice or would they transition on to other employment? Michelle: Ideally, we would love for them to stay with us forever but we know that at some point they are going to have to transition to other employment, but we have two models that we're looking at doing. One would be the employment and the other would be the entrepreneurship, so those who may come out of prison with a particular skill that they'd like to enhance and maybe turn into employment opportunities for themselves or become an entrepreneur, we're working on a program that will assist them. Ideally, we'd like them to stay but we know at some point they would transition out of Bags to Butterflies and start a new career somewhere else. Romy: It's just dawning on me, how did you come up with the name of your company? Michelle: Well, when you think about a butterfly and it transitions, it goes from caterpillar to butterfly state, there is a transition. It has to go through metamorphosis. A lot of the women incarcerated, that's their metamorphosis state. They're being transformed and when they come home, you know, we're hoping to take them to the next level so that they can complete the butterfly state. Romy: What are you noticing? You and I talked before the interview about when they've been in the system or in prison for a long time, especially, sometimes up to, as you said, 30 years. That's an enormous amount of time to be almost unplugged from all the technology that's happening. What are you finding the most difficult thing is for them to assimilate? I mean, I can't imagine what that's like. Michelle: It's a very difficult transition. One of our ladies had been incarcerated since the age of 15. This is her second year being home. She is actually being paroled in a couple of weeks and she defines it as being very scary. It's, a scary world. She, being confined and having people tell her what to do and how to do it and coming home and she's pretty much on her own and she needs guidance. She's a 45-year-old woman who needs guidance in this new world, this new society that she's not lived in. It's a very big transition for the ladies and they do need help and they appreciate us, being there for them but they realize that a lot of this they have to do on their own and they've been making the necessary steps to do so. Romy: Yeah. Everything, you think about the internet. I just, smart phones. Smart TVs, just everything. You think about, just alone in the technology category and oh, goodness. You know? That's a lot, so in terms of working, some of them do work, though, I am assuming in the prison system, so showing up on time and all that is not as much of an issue, I'm certain, as it might be of someone who's never worked, right? Michelle: Exactly and what we've found, even with the volunteers, they are very dedicated. They want employment. They want jobs. They want opportunities and they want an opportunity to show that they're capable of doing whatever the job is that they've been tasked to do and they're very very pleasant women, is what I've found. They just want the opportunities. Romy: Yeah. What makes you excited as you're watching this happen because it's that point, I think, for us as entrepreneurs, that when it goes from vision, where you're seeing the fruit of that. Michelle: Well, for me, I'll give you an example. A couple of weeks ago we took the ladies on a ski trip and one of the ladies had been incarcerated 30 years and when we turned the corner of this resort, she realized that this is where she skied as a young girl when she was 10 or 11 years old and to see the expression on her face and the smile on her face and she's out there skiing like she's been doing this all along and the excitement. Those are the kinds of things that let us know that we're doing something right and we're making a difference in her life. It's so funny because I got a text from her the morning of the event at three a.m. She said she's been up since three a.m. with excitement because she could not wait to go to Mount Brighton but she didn't realize it was the same place that she had skied as a young girl. Those are the kinds of things that make us happy. Romy: Wow. Oh, yeah. The celebration of life, right? Romy: I wish everyone could see. She's got such joy on her face. What do you envision this, if you could dream big and not thinking about things like money or if you could let yourself dream big with what you know at this minute, what are some of the things you think about where this could go? Michelle: We see Bags to Butterflies becoming a national organization. We see ourselves touching, not just the US but global. We're starting small, of course, but my vision is to take it national and impact the lives of all returning citizens across the globe. Romy: Oh, wow. That's a big dream but it can be done, as you know. How do you feel about Detroit as a place to start? Do you feel there's an ecosystem here? People always want to know about that. Michelle: Yeah. I believe so. Detroit itself is on the rebound and so just like these women, they're on the rebound. Detroit is at its Renaissance phase. They're starting fresh and new and there's so, much excitement about what's going on in the city and we, as well, are excited about what these women are doing with their lives, so Detroit is a perfect place. We have a lot in common with the rebirth of what's going on in the city. Romy: Yeah. Now where do you make the bags? Do you have a separate place or a designated place because a lot of entrepreneurs, I want to let the listeners know, pop up in different places and they make them wherever they can at first, but are you making them in a designated place? Michelle: We have a location at a local church and they've been very good about opening their doors to us and allowing us to come in to do our assembly and creating our handbags, so we usually meet once per month. They've just been really good, so we are looking to get our own home. We're looking at third quarter having our very own space and we'll be hopefully be able to come back and share more about that. Romy: Yeah. Well, we'll definitely circle back. We'd love to hear about your journey and then, in the meantime, how would the listeners reach you? Maybe give us your website or social media, if you have social media. Michelle: Yes. We have a website. It's bagstobutterflies.com. That's bags B-A-G-S the word to that's T-O butterflies.com. Our Facebook page is the same bagstobutterflies.com on Facebook. Romy: I don't know if we caught that. There's a lot of lightning that just happened. It might have come through on the recording. Well, thank you so much, and this has been wonderful. We'll come back for part two. Romy: Big thanks to Michelle, she hung in there while we did the interview during a loud thunderstorm. Jump to our site and look at the show notes for all of the great links to her site. Now, we have one of my very special Detroit friends, Nique Love Rhodes. She is truly amazing. songs with messages of hope, unity, spirituality, and a call for social change.